I admit to being somewhat of a Mac head … meaning that I am all Mac’d up with an iPad, iPhone, Mac Book, numerous iPods not to mention an iTouch. I’ve also come by all this Mac stuff somewhat honestly in that I also still have — and will occasionally use — my original Mac SE with all 4 MB of RAM! That old museum piece has a small black and white cathode ray tube for a screen (that’s a small TV!) and a sleek (for then) all in one body. 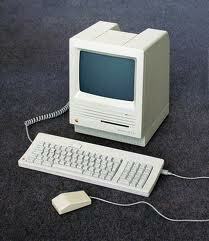 We are talking 1986 when I first got mine — and what an amazing beauty this bad girl was for her time what with her 20 MB internal hard drive! So fast forwarding to my 32 G iPad — I am truly in techie heaven what with the world literally at my fingertips as long as I can find 3G or internet, and if not, I can dig deep and find all of the stuff I’ve got loaded up including books, movies, and those blessed apps! This week I’ve been discovering fitness apps — in my world that means I found a few and have been sticking to them. My two favorites are the My Boxing Trainer app (available as an iPhone app, but terrific on the iPad) and the Pocket Yoga app (available in iPad and iPhone versions). The other cool thing about this app is it contains a workout section that allows you to sequence your own training or follow a series of pre-defined training regimens. Once you select a sequence, the user clicks a timer button to set the number of rounds you want for each part of your training, as well as the the length of each round and rest period. The app also contains a straight boxing timer if you just want to use that. For the end of your workout there are some pretty nice boxing conditioning videos — everything from ab exercises to tips on stretching, using a medicine ball and keeping your shoulders in great shape. This app costs all of $1.99 and is highly recommended! My other favorite app is Pocket Yoga. This app has three general areas: practice, poses and history. The practice portion has 30, 45 or 60 minute classes or two sun salutation sequences that allows the user to program the number of reps from 2 – 30. As a further refinement, each class and sun salutation sequence can be selected for a beginner, intermediate or expert level. Once you choose a class type — the class or sequence you follow is animated with voice over narration. I followed the 30-minute beginner class this morning and had quite a workout. One other nice feature is the history tab. 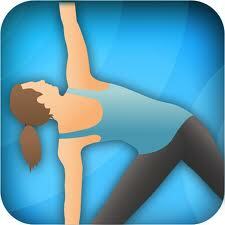 It will keep track of your yoga practice listing the date, sequence/class you used and the level of difficulty. While this app doesn’t exactly replace a live-action class, it can work well in a hotel room, during a break at work — or even at the boxing gym if you want to follow-up your training with a little yoga. The app itself is $2.99 or $3.99 for the HD version and to my mind, well worth the cost. Don’t have an iPad yet, but when I do…YAY!!!! 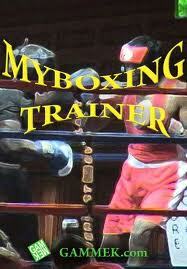 Training apps!!!! They really are cool – and way above my expectations, plus, you can always look up stuff on YouTube.